Chances are, if you are considering a DIY security system, you are interested in the features, as well as the potential cost savings. While installing your own system may seem like a fun Saturday afternoon project, it isn’t uncommon to run into unexpected wiring issues, finding you don’t have the right tools on hand, security components that don’t seem to work together, or simply just not understanding the instructions. A 1-2 hour project can turn into an entire weekend, potentially resulting in a system that isn’t installed correctly, failing to meet your expectations or adequately protect your home and family as it should. Many homeowners find in the long run it is actually more cost efficient to have their system installed by a pro. How Much Does It Cost To Get A Security System Professionally Installed? In most cases, expect to spend between $125 – $600 to get a security system professionally installed. However, it is important to learn more about what a professional installation entails before deciding if it is right for you. 1) For starters, just as the name implies, you get a professionally installed security system. A professional installer handles the entire setup, including wiring, which can be tricky for most homeowners. 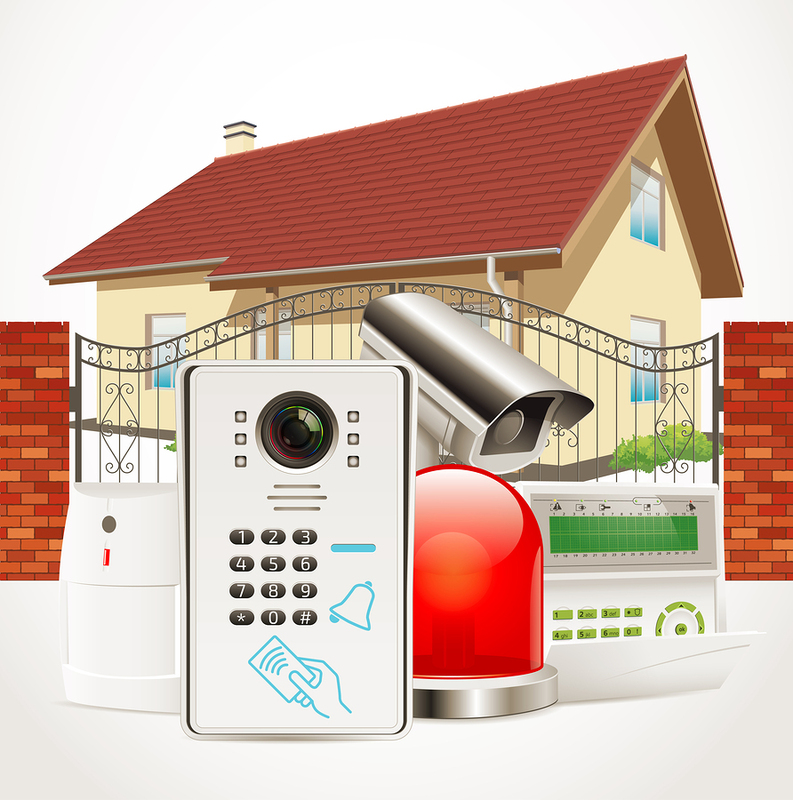 Yes, many modern security systems today are not hardwired, however some components do rely on existing wiring, including some camera doorbells, lighting, and sensors. An installer will also set up and test each component to ensure everything is working together, including panels, cameras, and monitors. Keep in mind, the more complex your system, and the more you rely on it to do in your home, the more challenging the installation, so expect to pay on the higher end of the price range. After your system is installed, most professional installers will take the time to configure the system to your specifications and train you on how to arm and disarm, adjust features, and basic troubleshooting. When arranging for a professional installation, make sure you know what is covered in your training session. 3) What if Something Goes Wrong Later? What if there is something wrong with the system or you can’t remember how it works? If your system was professionally installed, you can reach out to the installer for help. While there could be an additional fee, the installer is already familiar with your system and can likely troubleshoot much more quickly and efficiently than you could on your own. Having a system you don’t know how to use, or one that isn’t working properly, leaves your home’s security vulnerable. Rest easy knowing you have a professional resource on your side. The cost of false alarms is an expense homeowners often are unaware of when considering a DIY install vs. a professional install. The top causes of false alarms are: faulty wiring, a system that isn’t installed correctly (such as a motion detector not placed in the correct spot), and lack of homeowner knowledge on how to properly use their system. According to The Center for Problem-Oriented Policing, the majority of alarm calls (between 94 and 98 percent), are false, and often represent the highest volume type of call for service from police agencies. This puts a huge burden on local law enforcement. If 94 to 98 percent of alarm calls are false, and in many cases preventable, think about how much time and money is wasted. For this reason, municipalities around the country, including many in eastern Washington state, western Idaho, and northeastern Oregon, now charge the homeowner when responding to false alarms – in some cases, upwards of $150 per instance. The cost of even two or three false alarms per year quickly eats away at whatever money you tried to save by not hiring a professional security installer or having trusted local monitoring from a professional company. While there are a variety of quality security systems on the market today offering homeowners more options than ever, to really get the most out of your system, it pays to consider professional installation. When looking at all the factors, in many cases the cost of professional installation pays for itself by saving you time and frustration, and the peace of mind so you can Rest easy. Read more about security options from Moon Security. Previous PostPrevious How Much Does Home Automation Really Cost?